You are here: Home / Microsoft / Windows / Visual Studio Code – A Notepad++ Alternative ? Visual Studio Code – A Notepad++ Alternative ? 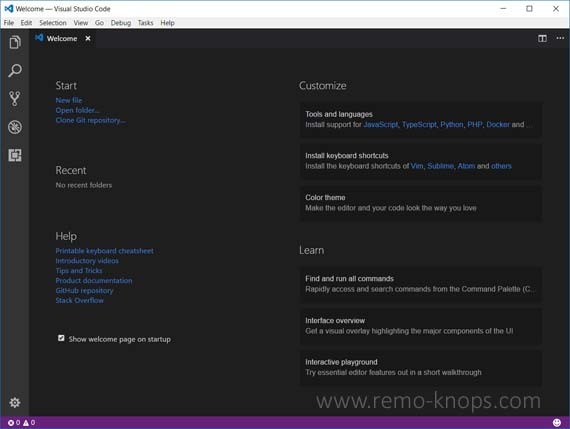 Paul Willen provided me with a demo of Microsoft Visual Studio Code, a free and open source code editor. Features and functions can be added via the extensions marketplace in Visual Studio Code. As a non-developer I will try to do a brief comparison with Notepad++ , the code editor I used for editing php and css-files for this blog. Visual Studio Code has a very clean screen layout as you can see in the screenshot above. In the section below I will share a screenshot of Notepad++ so you can see the difference in look and feel. However let’s first describe the code editor and its building blocks. A Activity Bar Lets you switch between views and gives you additional context-specific indicators. B Side Bar Contains different views like the Explorer to assist you while working on your project. C Editor Groups The main area to edit your files. You can open up to three editors side by side. D Panel You can display different panels below the editor region for output or debug information, errors and warnings, or an integrated terminal. E Status Bar Information about the opened project and the files you edit. Personally the items below I find interesting, but as a non-developer I certainly don’t have the hands-on experience with these features. If you do feel free to comment on these. IntelliSense is build into Visual Studio Code and provides “smart completions based on variable types, function definitions, and imported modules“. Debugging in Visual Studio Code is easy with your own terminal tools. Speeding up your release cycles with SCM support inside your editor, including rich Git integration. The menu structure of Visual Studio Code is pretty self-explanatory with the typical Microsoft Office File, Edit and View sections. 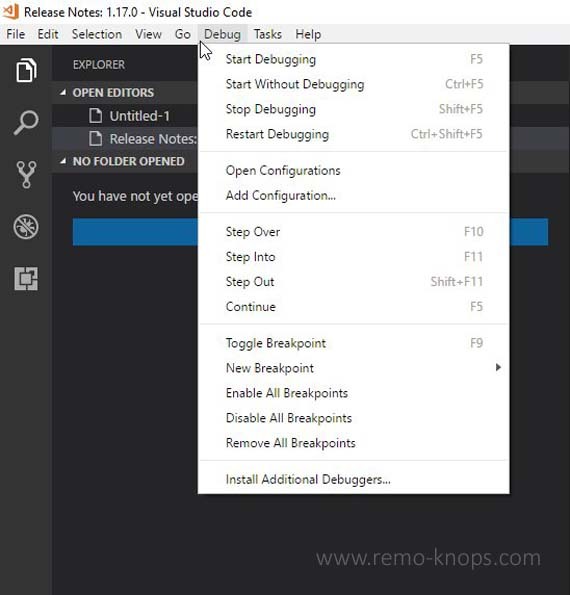 The Selection, Go, Debug and Task menu sections are your way into the development parts of the code editor. The screenshots provide a good overview of the different menu items in each menu. The Extensions button in the activity bar of Visual Studio Code shows you all installed extensions as well as some recommendations based on the installed extensions so far. You can search in the Extensions marketplace for specific programming language tools or you can search on publisher. There is also a browser version of the extensions marketplace so you can easily search through “Extensions for the Visual Studio family of products”. 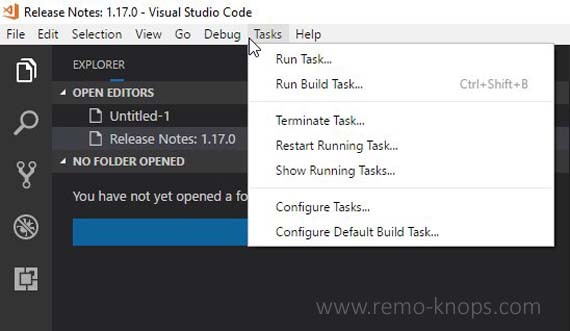 Please make sure to select Visual Studio Code in the top menu. Please not I’m not a professional developer, so I might overlook some advanced features from both Notepad++ and Visual Studio Code. The most obvious is the difference in look and feel. Notepad++ looks more like an older Windows application with a menu bar, an icon bar and below the text editor that looks like … yes … the default Notepad. Visual Studio Code has a monthly update cycle in which new updates are released. This monthly update cycle can also be seen at for example Office 365- or the Power BI Desktop updates. If you want to get the full picture of what has been added in each release of this open source code editor please check the updates page. 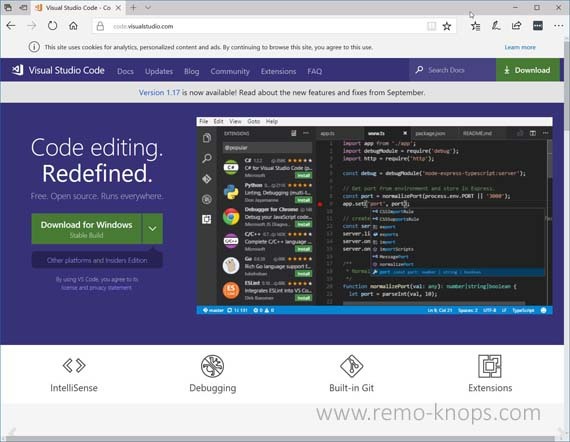 Visual Studio Code is an excellent code editor that builds upon the Visual Studio offerings and can be extended with a rich ecosystem of extensions. 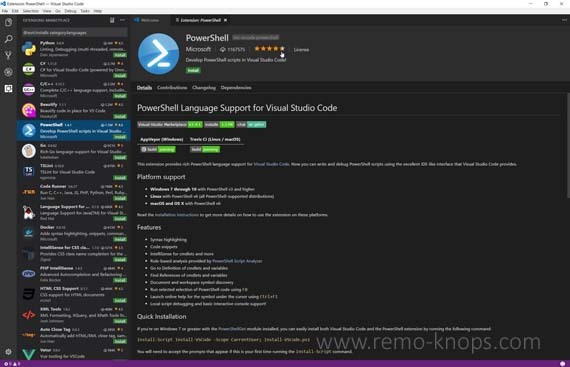 Visual Studio Code is part of the Visual Studio family of Products and Services like Visual Studio IDE, Team Foundation Server or Xamarin (Studio). Visual Studio Code is in active development and has got monthly updates since June 2015. 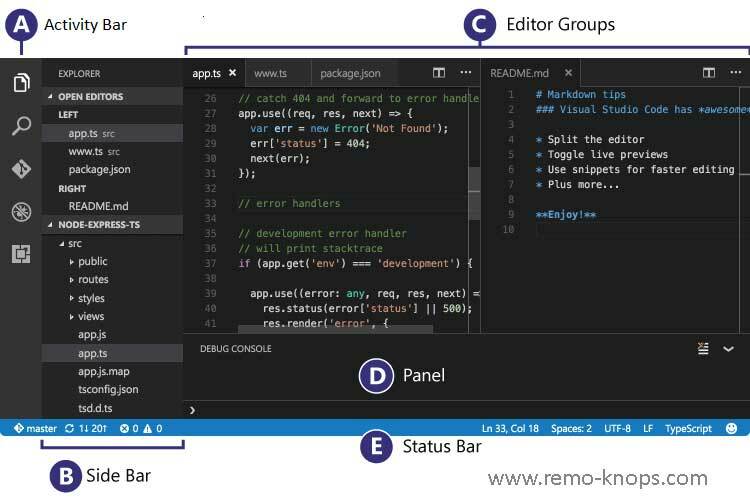 Visual Studio Code is versatile with its extensions. If you want to write code in C# simply add the extension, if you want to write code in C++ simply add the extension, if you want to program for Arduino simply add the extension, if you want to do exciting thing with Microsoft SQL server querying … simply add the extension. Despite not being a developer I can see the potential of a code editor like Visual Studio Code. I don’t think you can go wrong with this free Swiss army-knife code editor from Microsoft. If you want to check out what other open source software Microsoft engineers are developing, please check out Microsoft Open Source. Paul Willen is a technical and functional SharePoint Consultant who helps organizations maximize value on SharePoint and Office 365. Hey!, I found this information for you: "Visual Studio Code – A Notepad++ Alternative ?". 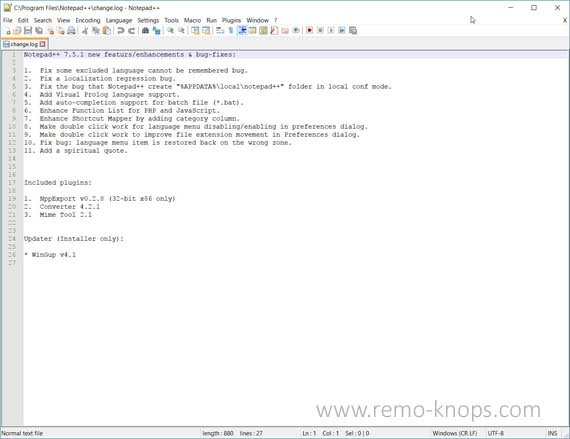 Here is the website link: https://www.remo-knops.com/6879/visual-studio-code-a-notepad-alternative/. Thank you.